The bill would attempt to address that loophole by preventing broadcasters from collecting “retransmission consent” monies. As FMC reported in our coverage of this bill, we noted that retransmission consent is essentially a set of agreements, negotiated every few years, between TV networks and cable companies that provide royalties to networks when cable companies carry their signals. 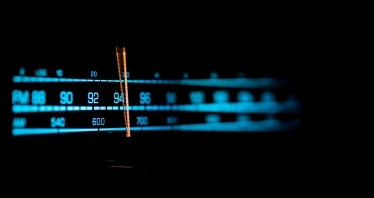 Under the PRMA, broadcasters’ ability to collect such payments would be conditional on whether any radio stations pay the performers for the music they play over-the-air. You could say it’s an attempt to draw attention to the hypocrisy of the broadcasters position: insisting they deserve to be paid when their work is transmitted, but insisting that musicians don’t deserve to be paid. In more tedious news, following the flurry of opposition to the FCC’s new Title II Net Neutrality Rules, Kentucky senator and presidential candidate, Rand Paul (R-KY) has introduced yet another resolution to kill the FCC’s resolve. Last month, Sen. Paul submitted a one-page resolution to Congress, attempting to negate the rules that the FCC passed in a 3/2 vote in February as a Senate counterpart to the earlier resolution introduced by Rep. Doug Collins (R-Ga.) in the House. Sen. Paul’s explanation of his position amounted to little more than a tired cliché: “Stated simply, I do not want to see the government regulating the Internet.” But of course, net neutrality doesn’t regulate the Internet; it regulates internet service providers, including big companies like Comcast, Verizon, and AT&T; that’s why it enjoys the support of so many musicians and other creators who rely on the open platform of the Internet to reach audiences. As FCC Chairman Tom Wheeler has patiently reminded congress more than once: saying “net neutrality regulates the internet” is as backwards as saying the first amendment regulates free speech. Sen. Paul’s resolution is another ineffectual legislative swing at Net Neutrality, and follows a string of essentially bad bills, none of which are likely to ever come to a vote, and would be essentially guaranteed to be vetoed by President Obama. However: it does give us a preview of what may be ahead: even as the FCC moves forward in implementing its new rules and defending them in court, Net Neutrality may end up being a campaign issue in 2016. Let’s hope other candidates take the time to understand why net neutrality principles enjoy such strong and passionate support.